NETA RAE HOGG beloved wife of Blaine Hogg passed away at home on Sunday September 11, 2016 at the age of 62 years. Neta and Blaine were sealed in the Cardston Alberta Temple on November 2, 1974. She was the loving mother of six children: Mckade (Leah) Hogg of Lethbridge, Mandy (Kyle) Weston of Victoria, Joel (Rayanna) Hogg of Welling, Adam (Christa) Hogg of Fort Saskatchewan, Philip Hogg of Mountain View and Brady of Cardston. Neta loved her 10 grandchildren more than anything. ​She was predeceased by her parents Albert and Florence Nelson of Mountain View. Neta was a member of the Church of Jesus Christ of Latter-day Saints, devoting her time to many callings. Her favorite hobby was sewing quilts and creating costumes for the theatre stage. She worked on the costumes for more than 50 productions. Nene loved being outdoors and especially loved her home away from home at Echo Lake, Montana. She would hike the mountain trails with anyone she could talk into going with her. 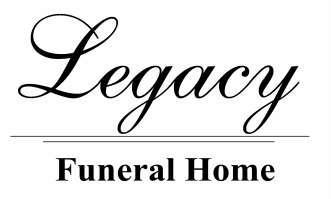 Friends may meet the family on Friday, September 16th, at Legacy Funeral Home from 7:00 to 8:00 pm or at the church from 10:00 to 10:45 am prior to the service. The Funeral Service will be held at The Church of Jesus Christ of Latter-day Saints, CARDSTON ALBERTA STAKE CENTER (EAST HILL), Cardston on Saturday, September 17th at 11:00 a.m. Interment to follow in the Cardston Cemetery.